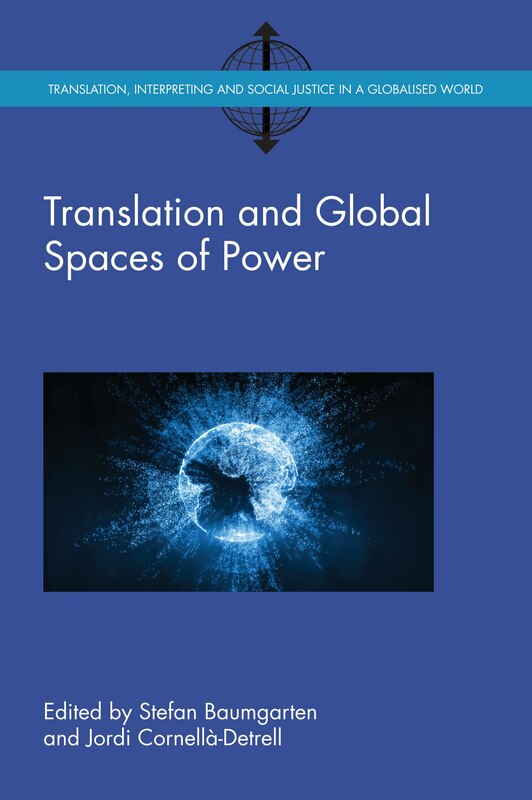 This month we published Translation and Global Spaces of Power edited by Stefan Baumgarten and Jordi Cornellà-Detrell. In this post the editors tell us what to expect from the book. Translation is a key process in the circulation of values and ideas across languages and cultures. Translation is a key site of cultural production and contestation, it is a space where values and ideas are constantly challenged and manipulated, adopted or discarded. It is, therefore, a privileged platform from which to examine the interplay between society, ideology and power. The contributions in Translation and Global Spaces of Power show that the crosscultural struggle over values and ideas is reflected in sectors as diverse as political journalism, elite sports, marketing or the film industry. 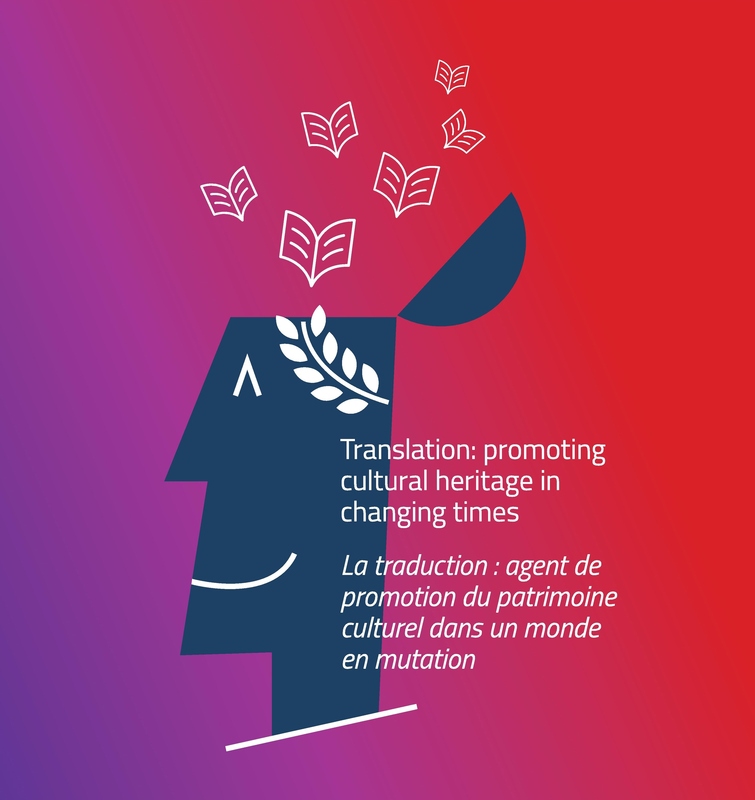 The heavy reliance on translated texts in a huge variety of political, cultural and economic domains further highlights the need to investigate the importance and effects of translation in relation to social and historical developments. Our volume presents a number of contemporary and historical case studies which examine how translators and institutions participate in the creation and circulation of knowledge and, importantly, the ways in which they can promote social and economic sustainability. The intertwined logic of capitalist and technological evolution has, especially in the past few decades, become an unquestioned value which threatens social cohesion and environmental sustainability. It is essential, therefore, to examine how translational practices can develop new ways of representing individuals, communities and cultures and how this crosscultural practice can be harnessed to promote sustainability and social justice. Translators and the institutions they work for have often been induced, whether explicitly or not, to comply with hegemonic rules and values, particularly in areas where political and economic interests are at stake. They can, however, also produce resistant and subversive translations which challenge the status quo and contribute to social justice. Translation and Global Spaces of Power demonstrates that translation boasts both enormous liberating and democratizing potential, but that it can also be used to exacerbate and justify inequalities. For more information about this book please see our website. If you found this interesting, you might also like Ideology, Ethics and Policy Development in Public Service Interpreting and Translation edited by Carmen Valero-Garcés and Rebecca Tipton. On Sunday it was International Translation Day – a day to celebrate “the role of language professionals in connecting nations and fostering peace, understanding and development”. 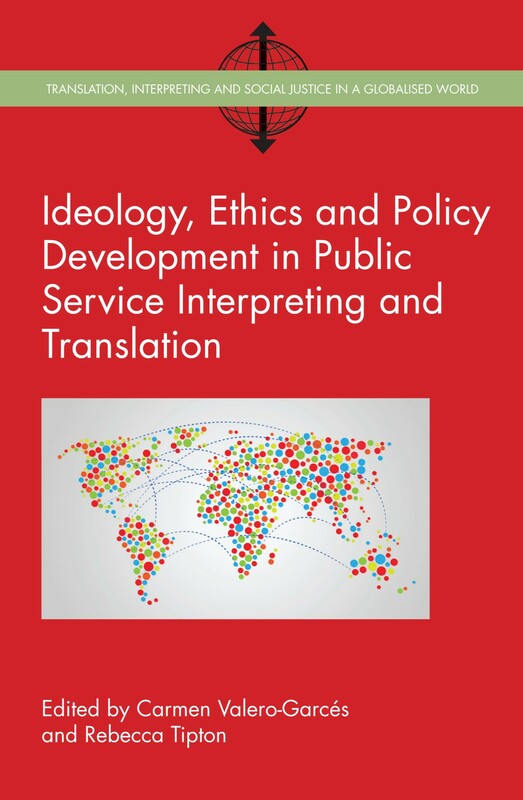 This collection of new research on public service interpreting and translation (PSIT) focuses on ideology, ethics and policy development. It provides fresh perspectives on the challenges of developing translation and interpreting provision in service contexts and on the tensions between prescribed approaches to ethics and practitioner experience. This book offers rich insights into the practice of community translation. 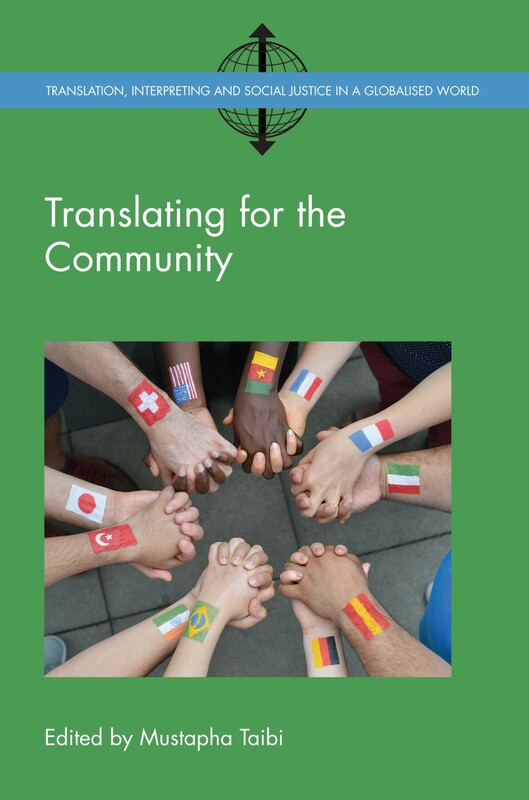 Chapters outline the specific nature and challenges of community translation, quality standards, training and the relationship between community translation as a professional practice and volunteer or crowd-sourced translation. This book focuses on the role of translation in a globalising world. Chapters explore the ways in which translation is subject to ideology and power play and focus on contextual and textual factors, ranging from global, regional and institutional relations to the linguistic, stylistic and rhetorical implications of translation decisions. 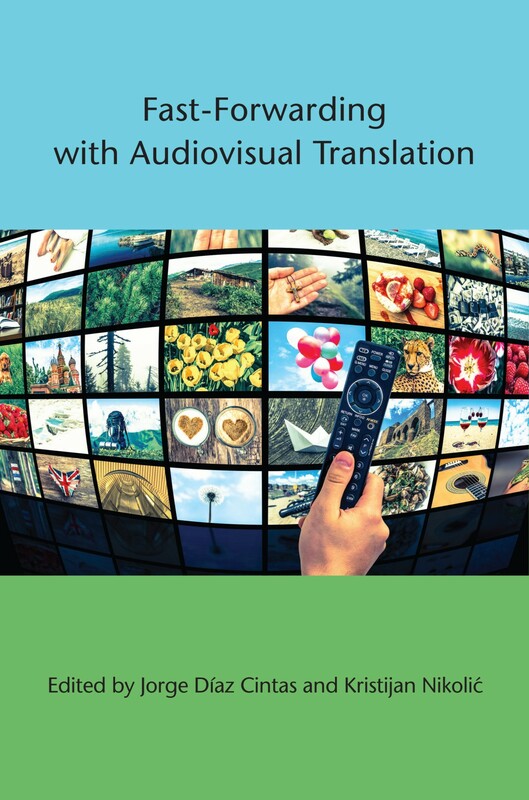 This book shows some of the ways in which audiovisual translation (AVT) can be approached from an academic, professional and educational point of view. The studies provide a stimulating and thought-provoking account of some of the themes that are currently being researched in the field of AVT, while also highlighting new directions of research. For more information about the Translation, Interpreting and Social Justice in a Globalised World series please see our website. We recently published Fast-Forwarding with Audiovisual Translation edited by Jorge Díaz Cintas and Kristijan Nikolić. 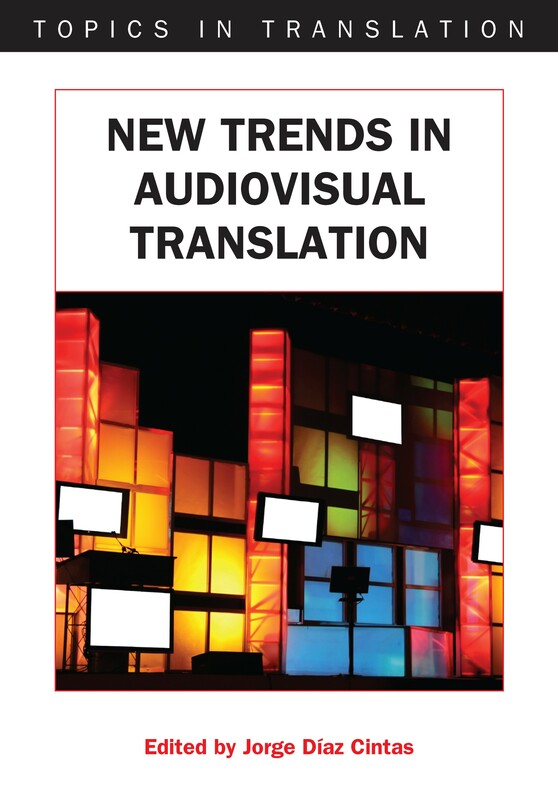 In this post the editors discuss how the field of audiovisual translation has changed over time and how their new book contributes to the conversation. Croatia, the native land of Kristijan, belongs to the group of the so-called subtitling countries, whereas Spain, from where Jorge hails, is firmly rooted in the practice of dubbing. Or so some used to say, as changes in the field of audiovisual translation have taken place so fast in the last decades that such neat, clear-cut distinctions are difficult to justify these days. Everything seems to be in flux. Technological advancements have had a great impact on the way we deal with the translation and distribution of audiovisual productions, and the switchover from analogue to digital technology at the turn of the last millennium proved to be particularly pivotal. In the age of digitisation and pervasiveness of the internet, the world has become smaller, contact across languages and cultures has accelerated and audiovisual translation has never been so prominent. VHS tapes have long gone, the DVD came and went in what felt like a blink of an eye, Blu-rays never quite made it as a household phenomenon and, in the age of the cloud, we have become users of streaming, aka OTT (over the top) distribution, where the possession of actual physical items is a thing of the past. We now rely on video-on-demand and watch audiovisual productions in real time, ‘over the screen’, without the need to download them to our computer, thanks to the likes of Netflix, Amazon Prime, Hulu and Iflix to name but a few. And, as a matter of fact, most of the programmes come accompanied by subtitles and dubbed versions in various languages, with many also including subtitles for the deaf and the hard-of-hearing and audio description for the blind and the partially sighted. Never before has translation been so prominent on screen. The collection of chapters in our new book, written by authors from a panoply of countries, offers a state of the art overview of the discipline and practice of audiovisual translation that goes to show how much we have moved on from those analogue days. With the title of this book, Fast-Forwarding with Audiovisual Translation, we have tried to convey that feeling of rapid movement so characteristic of this professional practice, where nothing stands still. Though irremediably a snapshot of the present, the various contributions therein also embrace some of the changes taking place nowadays and announce some of the ones looming ahead. From cognitive approaches to AVT, including experiments with eyetracking, to the translation of cultural references and humour, and to the use of subtitling in language learning, the book will take readers through fascinating new findings in this field. For more information about this book please see our website. If you found this interesting, you might also like Jorge Díaz Cintas’ 2009 book, New Trends in Audiovisual Translation. We recently published the first book in our new series Translation, Interpreting and Social Justice in a Globalised World, entitled Ideology, Ethics and Policy Development in Public Service Interpreting and Translation edited by Carmen Valero-Garcés and Rebecca Tipton. In this post the editors introduce us to the main themes of the book. As the 21st century advances, Public Service Interpreting and Translation (PSIT) services are increasingly positioned at the service of conflict resolution in different contexts, while at the same time being locked in their own struggle for professional recognition. This edited volume builds on our experiences as educators, researchers and practitioners as well as on the FITISPos Conference series in Public Service Interpreting and Translation held at the University of Alcalá, Madrid, and in particular the 2014 Conference which revisited topics related to ethics and ideology in situations of conflict. The collection illuminates emerging challenges for PSIT in statutory and non-statutory services generated by violent conflict, population displacement and migration, inter alia, gender-based violence, human rights violations and mental health trauma. These challenges raise questions as to the nature of the ethical and ideological frameworks within which interpreters and translators operate, the extent to which they shape such frameworks, and the role of states and institutions in acknowledging and responding to human need and human rights, against a backdrop of shifting political, social and legal landscapes. The chapters explore the evolving nature of ethics and ideology in a range of settings, and their implications for PSIT service organization, perception and delivery. They make a timely contribution to discussions on public policy development in translation and interpreting studies (see also González Núñez and Meylaerts (eds) 2017). The volume promotes research involving inter-disciplinary and inter-institutional approaches in order to appeal to communities of public service interpreting and translation, communities of research and practice, intercultural communication services and key stakeholders in policy development. The intended readership is therefore broader than the constituency of PSIT alone and extends to anyone interested in multicultural societies. The volume is divided into two parts; the first, titled ‘(Re-)defining Concepts and Policy Contexts’ provides historical and contemporary perspectives on ideology in the development of interpreting at the service of state bodies and institutions. The chapters explore ideologies of recruitment, positioning, discourses of professionalization, PSIT and the democratic process, and the ethics and politics of recognition. The chapters are underpinned by theoretical frameworks that highlight political science as an increasingly important inter-discipline. Part 2 titled ‘Experiences From the Field’ brings together contributions on interpreting in settings such as courtrooms, correctional facilities and in the pre-trial phases of criminal investigation. It focuses on interpreter mediation with asylum seekers, refugees and trauma survivors, drawing on case studies and survey-based studies. Ethical and ideological perspectives are foregrounded through a spotlight on issues of access to justice in correctional facilities and rehabilitation for limited proficiency speakers. Interlingual communication is theorized in particular through rights-based discourses. The chapters offer new insight into different types of legal events in the European context and bring a fresh perspective on the use and training of interpreters in Europe and the United States. We hope that the volume opens up useful discussion between educators, interpreting practitioners and key public service and community stakeholders with a view to developing coherent policy approaches to PSIT across domains and settings. González Núñez Gabriel and Reine Meylaerts (eds) (2017) Translation and Public Policy: Interdisciplinary perspectives and case studies, London and New York: Routledge. For more information about this book, please see our website. How can we overcome language barriers in health care? This month we published Providing Health Care in the Context of Language Barriers edited by Elizabeth A. Jacobs and Lisa C. Diamond. In this post the editors tell us about the inspiration behind the book and what we can expect from reading it. Have you ever had to seek health care in a country where you did not speak the language? Have you ever thought about what the experiences of the patient, care provider and, if present, interpreter are? As immigration continues and grows across the globe, this has become a frequent experience for patients around the world. Many patients and their health care providers have to communicate across a language barrier, often in collaboration with an interpreter, formal or informal. In this situation, patients’ needs may not be understood or met because of lack of adequate communication. The nature and complexity of language barriers in health care vary within and across nations due to the culture and political nature of the nation and/or the linguistic groups seeking health care in those countries. 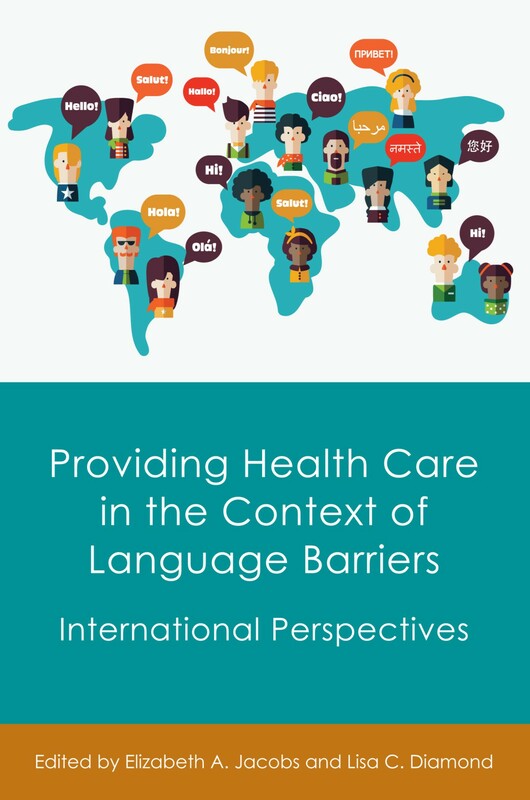 With this diversity of contexts comes a need for diverse approaches to overcoming language barriers in health care. The goal of our book is to provide a collection of chapters describing these different approaches, their advantages and disadvantages, and special issues which need to be considered in particular contexts or linguistic groups. This edited volume provides an excellent overview of the global challenge health care providers and linguistically diverse patients face when they seek health care in settings where it is delivered in a language other than their own. The contributing authors provide a diverse set of insights into these challenges and means for overcoming them and highlight how the likely best solutions to the problem of language barriers in health care vary depending on where you are in the world, what means of overcoming them are available, how policy shapes or does not shape these solutions, and the culture, language, and language abilities of the patients being served. They also provide a number of practical ideas and recommendations as to how to address these challenges, from how to work effectively with informal interpreters to developing a means for measuring physician language proficiency. These recommendations sometimes conflict, indicating that, while the challenge is consistent and global, the means for addressing language barriers in health care settings are varied and context-dependent. We hope you find valuable evidence for the diversity of linguistic needs in the health care setting around the world in this book and that it serves you as an important resource for understanding this increasing global challenge, the different means for addressing it, and issues that must be addressed when developing solutions. Patients worldwide deserve to be heard and understood and we hope this work helps make this happen. For more information about this book, please visit our website. 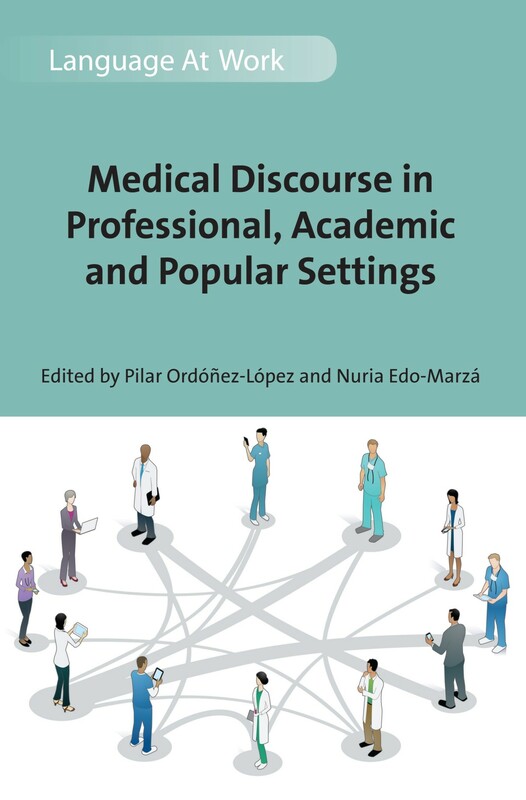 If you found this interesting, you might also like Medical Discourse in Professional, Academic and Popular Settings edited by Pilar Ordóñez-López and Nuria Edo-Marzá and Ideology, Ethics and Policy Development in Public Service Interpreting and Translation edited by Carmen Valero-Garcés and Rebecca Tipton. 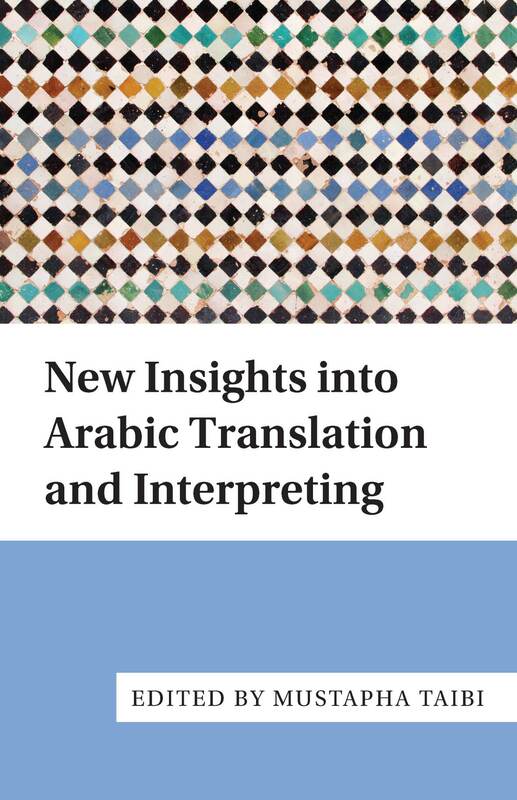 In April we published New Insights into Arabic Translation and Interpreting edited by Mustapha Taibi. This book examines the key issues surrounding translation from or into Arabic. In this post, Mustapha introduces the key themes of his book and reveals how it fills a gap in the Eurocentric field of translation studies. “Despite the increasing surge of scholarship on translation since the seventies, European and North American voices have dominated the field and largely shaped it. With a few notable exceptions such as Mona Baker and Basil Hatim, it is only in the last decade that Arab scholars have begun to add their voices in substantial numbers; on the whole, Arab scholarship has been a “consumer” rather than a “producer” of new ideas in translation research”. As a result of a shortage of Translation Studies works in and on Arabic, Arab translation and interpreting scholars, teachers and students often need to use references that were developed based on languages and socio-cultural contexts other than Arabic and the Arab culture. New Insights into Arabic Translation and Interpreting is a new contribution which bridges this gap. It offers translation students, teachers, researchers and practitioners a collection of articles by established as well as young researchers from different parts of the world (Morocco, Saudi Arabia, United Arab Emirates, Australia and Spain), addressing translation in the Arab World, translating from and into Arabic, and teaching translation from and into Arabic, with a special focus on new fields of study and professional practice, new lines of research and innovative teaching approaches and resources. At the same time, the book is a new contribution which decentralises Translation Studies, in the sense of offering ‘local’ perspectives on translation and interpreting. Although European and North American scholars are abundantly cited in its chapters, the book looks at translation and interpreting from the angle of sociolinguistic and socio-cultural contexts that are quite different from the Western situations that have dominated the Translation Studies scene so far. As an example, community interpreting and community translation have been associated in the literature with migrant communities in Europe and North America. The publications available usually refer to ‘non-English/French/Spanish speakers’, ‘speakers of minority languages’, ‘culturally and linguistically diverse (CALD) users’ and so on. ‘Periphery’ languages such as Arabic, Swahili, Wolof, Chinese and others are categorised as ‘minority’ languages or as the languages of disempowered migrants and refugees. Some chapters in this book reverse the picture by bringing to the scene public service situations where Arabic is the mainstream language and other languages, including European ones, are ‘public service user’ languages. Chapter 3 in particular takes community translation and interpreting to a territory which is thus far unfamiliar: language services during the annual pilgrimage in Saudi Arabia. Another example is the chapter by Said Faiq: the author notes an imbalance in the translation-mediated flow between Arab and Western cultures and questions the “master discourse”, which affects translation from and into Arabic at different levels. He concludes with a call for translation that facilitates and promotes intercultural understanding. (This should be the role of translation by definition, but that is not always the case): “A critical understanding of the ways in which master discourses operate might contribute to more efficient self-monitoring on the part of all involved in translation, and might lead to making it a true process of intercultural understanding rather than a way of reinforcing existing representations and images of one culture about another. This can be achieved through a cross-cultural appraisal of the discourses underlying translation and translating with a view to better understanding the issues of identity (self and other), translation enterprise (patronage, agencies, translators) and norms of representation (master discourse)”. For further information about the book please see our website. If you found this interesting, you might also like another of our titles: Cultural Encounters in Translation from Arabic edited by Said Faiq. We are very happy to introduce this new book series on Translation, Interpreting and Social Justice in a Globalised World edited by Philipp Angermeyer and Katrijn Maryns. In this post, the series editors introduce their series and explain what topics it will cover. In our era of globalisation and migration, translation and interpreting are ubiquitous phenomena wherever speakers of different languages come into contact, and are inextricably linked to questions of social power and inequality. In contexts as varied as courts, schools, hospitals and workplaces, or in interactions with police or refugee services, translators and interpreters variously take on roles as institutional gatekeepers, intercultural mediators, or advocates for members of marginalised communities, with evident implications for the encounters and the participants whose communication is thus mediated. This international series welcomes authored monographs and edited collections that address translation and interpreting in settings of diversity, globalisation, migration and asylum. Books in the series will discuss how translation and interpreting practices (or their absence) may advance or hinder social justice. A key aim of the series is to encourage dialogue between scholars and professionals working in translation and interpreting studies and those working in sociolinguistics, linguistic anthropology, or other fields related to linguistics. Books in the series will cover both translation and interpreting services provided by state and corporate entities, as well as informal, community-based translation and interpreting. We welcome proposals covering any combination of languages (including Sign languages) and from a wide variety of geographical contexts. A guiding aim of the series is to empower those who may be disadvantaged by their lack of access to majority or official languages. Proposals which bridge the gap between theoretical and practical domains are particularly encouraged. We welcome proposals on research that contributes to these themes. Proposals should be sent to Laura Longworth, Commissioning Editor. For more information about the new series please see our website or download a flyer for the series here. With Christmas on its way we’re busy writing, signing and posting cards in the office. We sort the cards by mailing destination and, given that we’re a small UK based company, what’s striking is just how big our “Rest of the World” pile is. 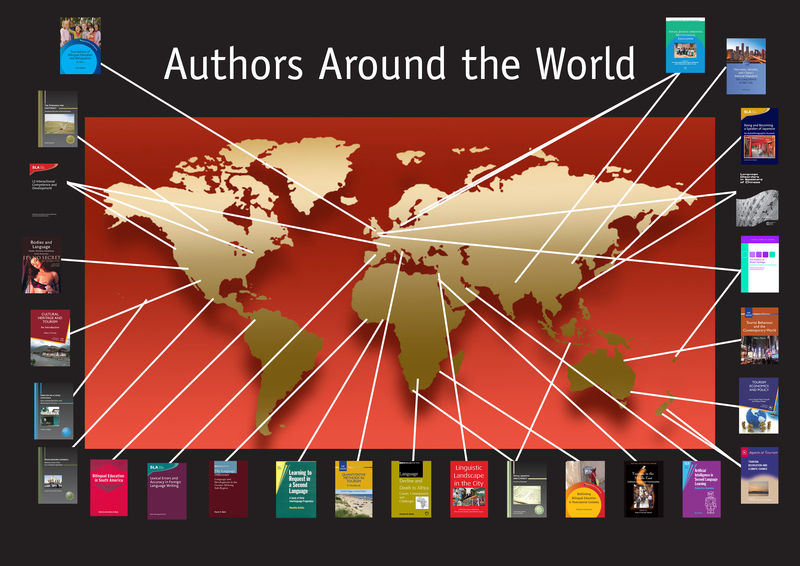 We therefore thought it might be interesting to share the diverse geographical background of our authors with you. It’s 10:15am here in Bristol and it’s a bright but cold autumnal Tuesday. It’s funny to think that the day is just coming to an end for our author, David Harrison, in Fiji and is yet to dawn for Christina Higgins in Hawaii. 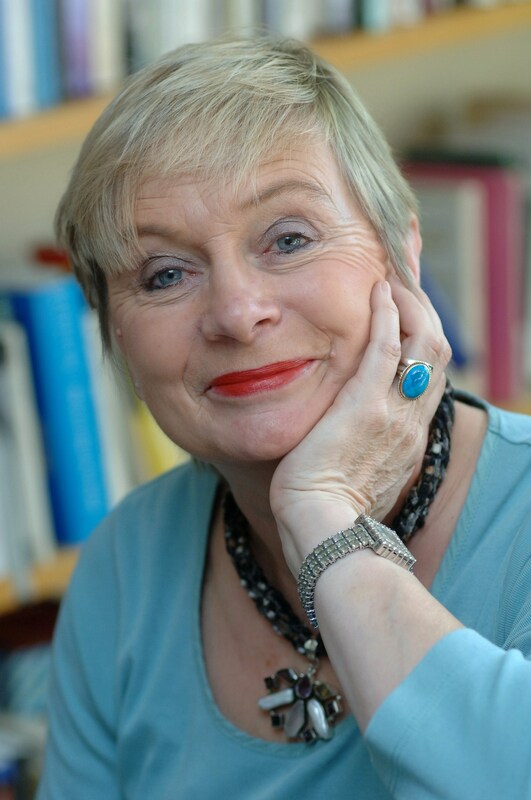 We’ve got authors as far north as Finland and Canada, as far south as the Western Cape, South Africa and Anne-Marie de Meija is right on the equator in Colombia. I’ve had fun putting together this map which shows just a few of the locations mentioned above. If you click on the map, you can enlarge it and zoom in to read the covers. Aside from geographical details, it’s also good to see that every continent is represented and our authors certainly aren’t all based in developed English speaking countries. In the past twelve months books, we’ve published books by academics based in Australia, Canada, the Ivory Coast, France, Japan, New Zealand, Hong Kong, Belgium, Mozambique, Poland, Ireland, UK, Spain, Denmark, Switzerland, USA, China, Italy and Sweden. Phew! And that’s just a sample of the last 12 months; the list of countries is very long, and growing. We also work hard to ensure that our books are available for anyone to buy, wherever in the world they are. We have reps working across Asia and regularly agree low price reprints for our titles with publishers in countries such as India. We also sell lots of translation rights, the most recent sale being “Rural Tourism and Sustainable Business” sold for translation into Macedonian and Albanian. Wherever you are based, and whether you’re an author, customer or publisher with a project in mind or question to ask, please do get in touch, we love hearing from you. 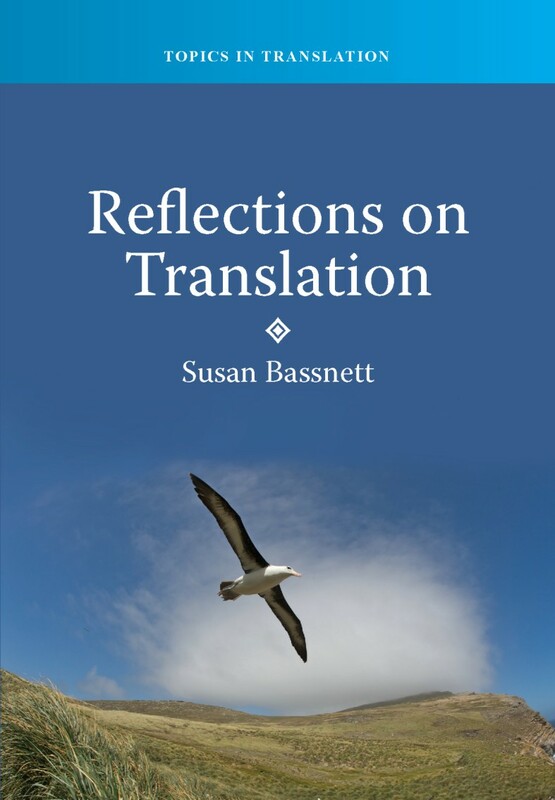 This year we published Reflections on Translation by Susan Bassnett which brings together her key essays on translation. We asked her a few questions about her work. What inspired you to study translation? I never thought about translation as something to be studied, but from earliest childhood there was always more than one language in my head, so you could say that I was never not translating. That personal dimension then fed into my thinking about translation, hence this book is a personal account of one woman’s engagement with translation that also tackles sociopolitical and linguistic issues from a professional perspective. What makes your book different from others that have been published before? This book is different from other books on translation because it consists of short essays written for everyone who has an interest, however small, in what translation involves. Which researchers in your field do you particularly admire? I have always admired people who can communicate outside the confines of their special field. I respect the scholarship of many theorists and critics who write in a style and languages that are only intelligible to a small elite group of followers, but I admire those people who can reach out to the many. My good friend the late Andre Lefevere was just such a writer, as are Edwin Gentzler, Sherry Simon, Michael Cronin and other key figures in the field of translation. What books – either for work or for pleasure – are you reading at the moment? I read anything and everything. For years now, I have had a personal reading strategy, whereby every year I read some classic work that I managed to miss, I reread something, I select a poet and read his or her complete works and then I read whatever comes my way. This year I was a judge for the Dublin IMPAC prize, so I had over 160 novels to read before the judging meeting in June. I loved the winner, Colum McCann’s Let the Great World Spin. Right now I am rereading all the Patrick O’Brien seafaring novels about Jack Aubrey and Dr Maturin, having taken Sir Walter Scott’s Redgauntlet on holiday, along with a book on Celtic spirituality and Edmond de Waal’s marvellous The Hare with Amber Eyes. What do you think you might have done if you hadn’t pursued a career in academia? I never wanted to be an academic, I wanted to be a full time writer. I tried twice to earn my living outside academia, but never managed it. However, the compensation of academic life is the constant engagement with the brightest people of the next generation. It keeps one young and on one’s toes. What are your plans for future research? I am finishing a book on translation for the Routledge New Critical Idiom series, and will then revise Translation Studies for its 4th edition. This book came out in 1980 and seems to be more popular now than ever, which amazes and delights me. Then I would like to spend more time on my poetry, though I am also committed to finishing a translation of one of Luigi Pirandello’s later plays that is not well known at all in the English-speaking world. I like to have several projects on the go at the same time.